The red clothes were hung, in part, as a show of support for Conne River, as the community prepares for Chantel John's funeral on Saturday. 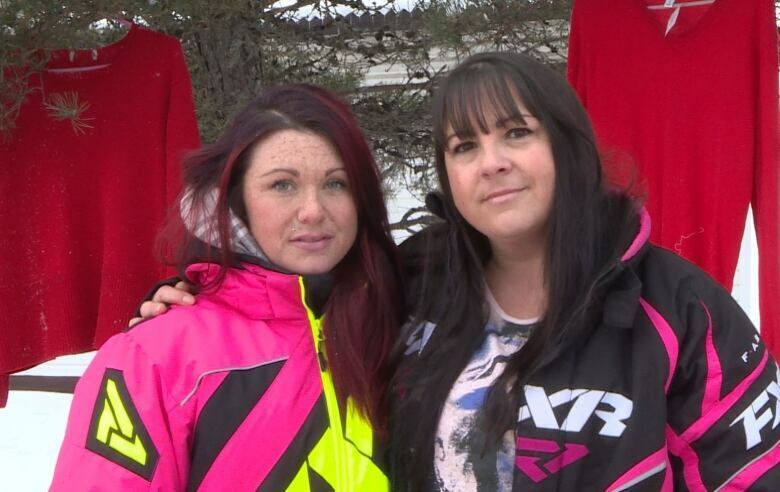 Two women hung hundreds of pieces of red clothing in Glenwood and along the Trans Canada-Highway Friday, hoping to catch the eye of travellers headed to Conne River for Saturday's funeral for Chantel John. 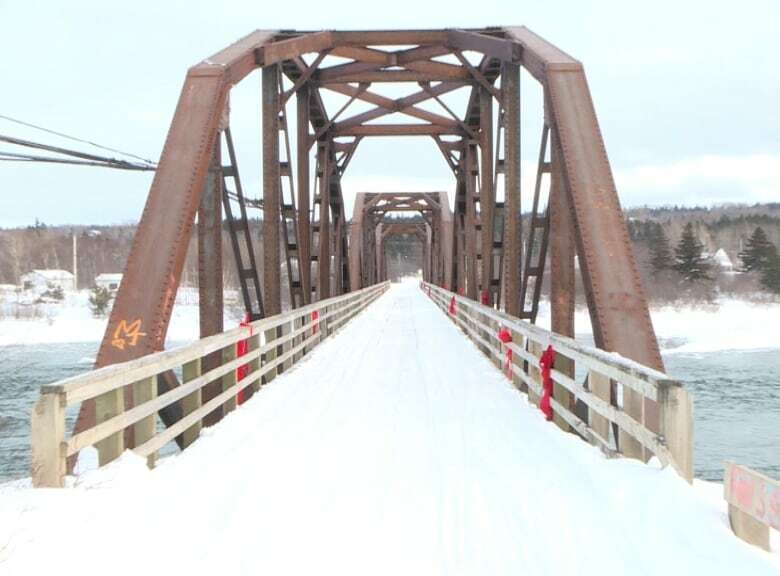 The 28-year-old woman was killed in the community last week and following her death, Miawpukek First Nation Chief Mi'sel Joe asked people to wear red, and display red clothing, in her honour. 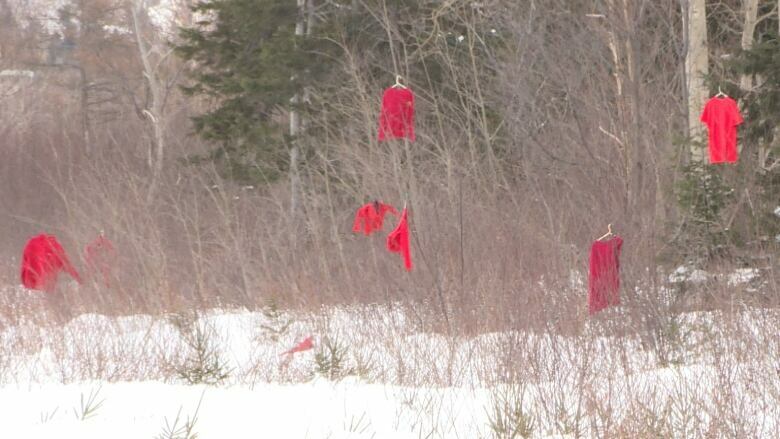 The striking image of the red garments against the white snow was meant to be a symbol of missing and murdered Indigenous women and girls, of the pain and the healing the community of Conne River is experiencing, and of all women who live with violence "and are unnoticed," according to Simone Bown, who helped put the clothing up. "We figured that the more we get the better, to make this more overpowering than just one hung up in one garden," she said. "People that see these things, maybe it's going on in their homes, who knows?" It could help give peope the courage to reach out and ask someone for help, she said. Bown worked with Lisa John to gather all the garments. The women asked thrift stores, community organizations, friends and family for donations of red clothing and were expecting maybe a few grocery bags to come in. "It poured in, the garbage bags and garbage bags of red clothing," John said. "The support was unbelievable. This is a big thing, and we need to get it out there." Clothes came in from as far away as St. John's, she said. The two spent hours on Friday hanging it all up, sometimes climbing through deep snow. "We just hung them everywhere."